Catcophony Wearable Art by Diane Perry grew from a desire to create jewelry with simple lines and timeless appeal. 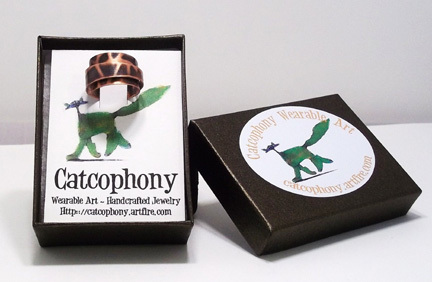 Catcophony, a play on cacophony, resulted from a love of cats and the inability to settle on only one technique for creating jewelry. 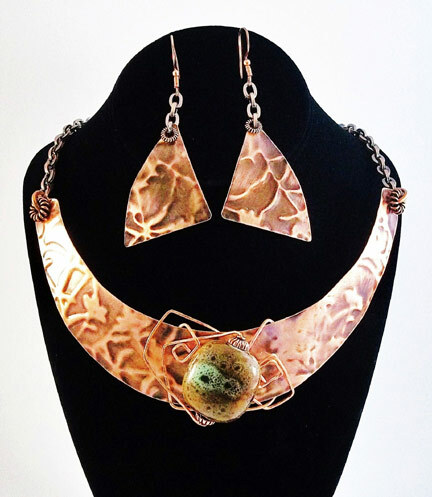 The artisan uses both traditional and unconventional jewelry techniques to create wearable art from copper, silver, and brass. The use of a scrapbooking technique resulted in the ‘Watercolor’ earrings she created for celebrities & media at the GBK Productions Oscars Gift Lounges and will be featured in the GBK MTV Movie Awards Gift Lounges. 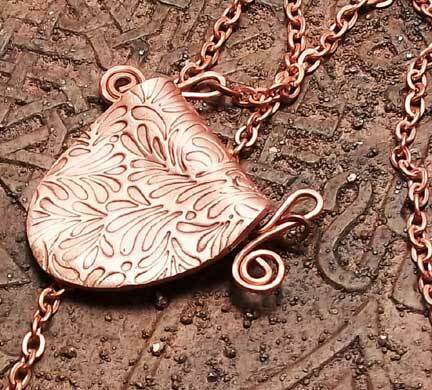 Diane is currently working on a copper electroplated organic line using native Georgia flora, an embossed and patinaed line, and metal clay guitar pick necklaces. She is a member of The Artisan Group, a juried group of talented artisans.